With incredible mountain views, this third floor suite boasts vistas of the infamous Sleeping Giant, illuminated by the sunrise each morning and backlit by the sunset each evening. Featuring one king master suite and one queen sleeper sofa, this suite comfortably accommodates 4 people. The stylish interior includes a stately kitchen, upscale furnishings and two full bathrooms with Peruvian Travertine stone surrounds and a soaking tub. Enjoy the clean design and convenient location, with the beach and boundless Kauai adventures just beyond your private lanai. This is one of my favorite places I have stayed for a vacation. It is fun to have the beautiful pool and slides and also be so close to the ocean. Everything provided is helpful. We were so pleased with the people who managed this condo. We had rented a house for 2 weeks and needed an additional 3 nights. We didnt care about a view, just a nice quiet, clean place to relax after vacationing with other family members. This condo was perfect! We have stayed at this complex many times and have never been disappointed. The people we dealt with were quick to answer questions that we had, and were so accommodating to our request to take our food over earlier so it wouldn’t spoil while we waited for our check in time. Thanks so much!! G303 is a beautiful room although not much for a view at all other than the parking lot. Deck is small. Condo was well equipped and beautiful! We didn’t have any needs that was not covered. We were very satisfied with our stay and location of condo. KEM kept us in the loop regarding the hurricane and made us feel safe. 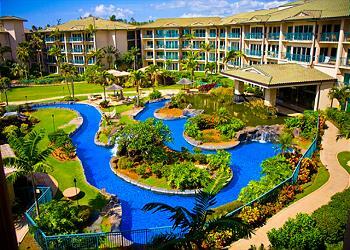 I wouldn’t hesitate booking this condo again or anything that Kauai Exclusive Management manages and rents. Beautiful condo with a perfect location. Sarah, the concierge was amazing! Our stay at this resort was excellent. Everything was above our expectations and extremely enjoyable. We would stay here again and recommend it to anyone. My only complaint is that our concierge, Sarah, was not helpful and answered an email request for dinner reservations 48 hours after being sent (while we were there). Having said that, we did not expect a concierge so it didn’t matter. I gave your resort a great review on google maps as well. Thank you for everything and making our visit to Kauai our favorite part of our vacation. 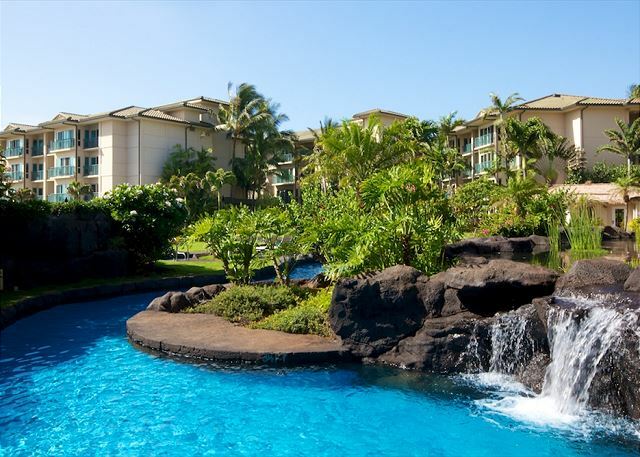 My husband and I celebrated a very special anniversary (50th) in a very special place(Kauai), and wanted a well located place to stay with a great pool and close to restaurants and sites. 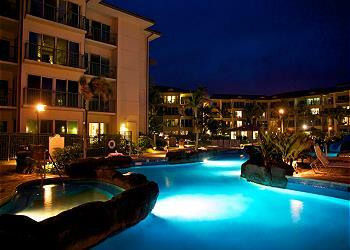 We were very happy with the Waipouli Beach Resort and the condo G303. It was modern, spacious, clean, well supplied and close to the pool, on site Oasis restaurant, and parking. It is a fairly easy drive to the south shore, as well as the still recovering north shore and points beyond. The resort grounds are well kept, the ocean views lovely, the restaurant (Oasis) offers tasty food (yummy fresh fish) with views and live entertainment (check for schedule). Staff was friendly and helpful as well. Great choice for families as well as couples. We will return and have already recommended the condo/resort to others. Thank you for a great stay! Really great location, amenities, and overall experience. We plan to return! The carpets needed washing but again compared to most locations near by, better. The spa is a must! Great Place for a Relaxing Stay! Third time's a charm! 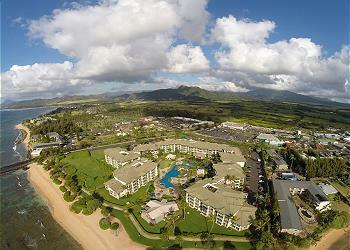 I was able to book G303 thru Kauai Exclusive when the Waipouli Beach Resort hotel was sold out. This was our third stay at the WBR and we thought this unit was great! We really enjoy all the amenities that the unit and property offers. The rental experience was professional and handled smoothly through a mobile app. The only complaint is the cleaning product used has a strange odor that lingered in the refrigerator. Great room with nice view of the mountain. For two people, we had plenty of space. The kitchen is beautiful - we cooked breakfast each morning. Nice coffee maker. When we arrived we walked to Safeway (easier than driving - lights are crazy long) and purchased eggs, coffee, and a few snack items. 2 bathrooms was a nice to have. One bath had a shower and the other a tub. This would not be ideal for 2 couples but would work for a family (2kids) with the pull out couch. The king bed was comfy. Ample drawer and closet space. Easy parking. The app was easy to use with all the codes/passwords at your fingertips. The management company responded very quickly to the few questions I had. One of the toilet seats was broken - literally fell off. I should have contacted them on day 1 to have it fixed but we dealt with it. The pool area has plenty of chairs - real nice pool and easy walk to beach. The Oasis on the Beach is great - we spent two nights there (live music is wonderful). 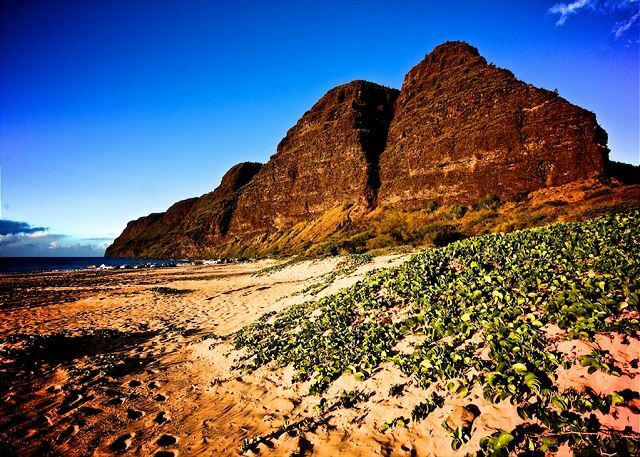 The Waipouli area is convenient for those who have never seen Kauai and want to drive up to Hanalei and down to Poipu, and farther or in between. I did notice more traffic and congestion in the Kapaa area than in the south areas.. Would definitely stay at the Waipouli Beach Resort if/when we travel to Kauai again. Nice unit with modern kitchen amenities. Internet connection down in unit when we stayed but able to connect with another unit's WiFi also managed by same property management company. Excellent concierge services at no cost was a valuable plus. Rental Host app very handy for good info plus easy way to connect with property management. Pool slides fun for both kids and adults. Would stay again in this unit. With the exception of a cold shower and slow wifi it was perfect. 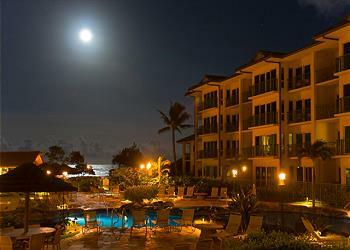 We totally enjoyed our stay and are glad that we chose the Waipouli Beach Resort. The condo was everything we hoped for and the location was excellent. Waipoli G 303 is very nice one bedroom unit but view is not good. Parking lot and side of building, so don't choose this if view is important. Location for our needs was great, grocery and Starbucks across the street. Very nice pool area and great staff. I first went to Kauai in 1965... I think Kauai is great, and I return often. This was the second time that I have stayed at the Waipouli. Everything was basically as advertised, and I was again pleased with the experience. We recently spent the most relaxing and amazing week in Kauai at this condo! The Waipouli Beach Resort was an excellent home base for our adventures. This modern complex is located a few miles from the airport on the east coast. The location is central along the main route around the island. 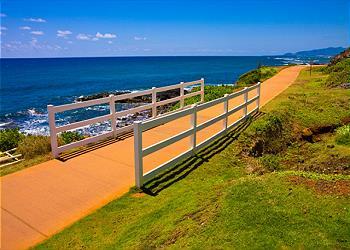 Ventures to the north coast in one direction or south and west coast in the other direction are convenient. The condo is beautifully appointed with tasteful furnishings and embodies the comforts that images of a Hawaiian vacation tend to conjure. The lanai outside the master bedroom and the other mini-balcony off the living room both provide an excellent space for morning coffee. The Sleeping Giant mountain is the backdrop with a lush tropical garden just outside, bringing local songbirds to your doorstep. We enjoyed the gourmet kitchen with high-end appliances, which is well-equipped with everything you need to enjoy the comforts of home cooking. 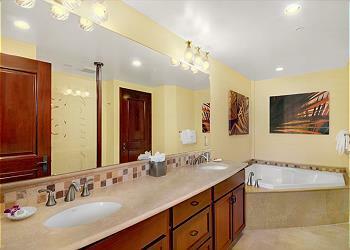 We were impressed by the huge full master bathroom with large tub and double sinks. A separate full bathroom with shower is situated in an adjoining room. As a bonus, we loved having an in-unit washer and dryer with detergent provided. 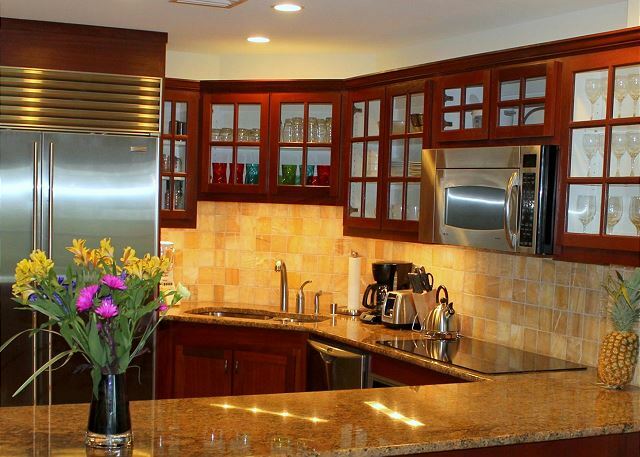 The condo, as well as the entire property, were immaculately clean and well-maintained. A picturesque pool area is featured in the main courtyard of the resort. A serpentine splash pool is the centerpiece, equipped with multiple waterfalls, waterslides, and even a “wet cave” to explore. The expected multiple hot tubs for lounging are pristine, with the added Kauaian touch of sand-covered floors. There is an affiliated bar with great ocean views. 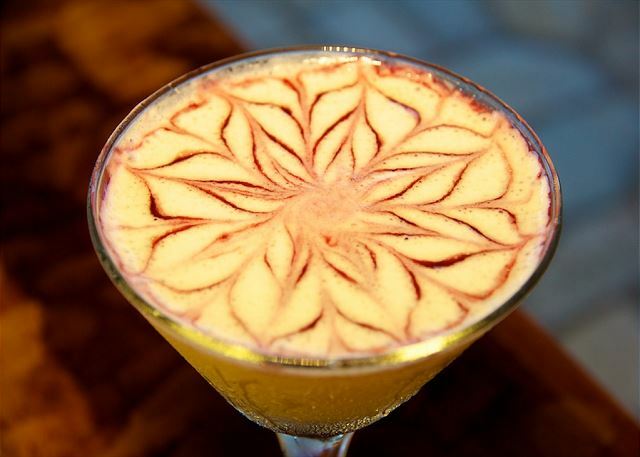 We loved the inexpensive Happy Hour. Full meals are available, but we did not try them. We would absolutely stay here again and recommend it to our family and friends. 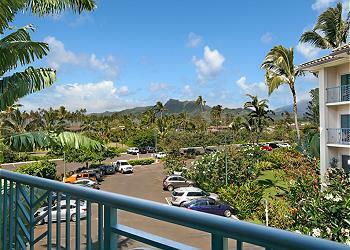 Exactly as decribed/ pictures- very clean and modern and everything you need to have a wonderful stay in Kauai. The bed was so comfy as was the sofa bed. Nice full kitchen with top of the line appliances. The grounds are gorgeous and it's a short walk to the wonderful pool area!!! My four year old had a blast and beach towels and swim vest/ floated available make it even better. The beach is right there though the waters are too rough to swim. Perfect location with stores and restaurants across the street. I loved it and would definitely go back. Only thing I didn't like was the on site restaurant Oasis, beautiful on the beach restaurant but the breakfast was horrible and way overpriced. It was clean, the room was spacious; had all of the amenities. The bed and pillows were comfortable and I felt like it was a home away from home. The location was wonderful, the staff was awesome, and I had an excellent time. Waipouli Resort - Wonderful ! Awesome resort with great amenities and 5star accommodations!! Had a wonderful time in Kauai! 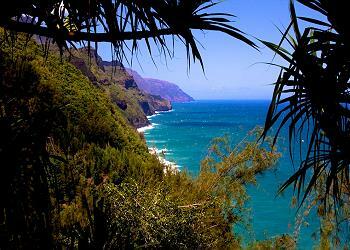 We really enjoyed each day as we drove around, viewing all of the beauty of the island. Adding to our wonderful experience was the Waipouli Beach Resort stay. Very clean, comfortable room. Everything that we needed besides food, was there for us, laundry detergent, dish soap, bath soap and shampoo, along with all necessary kitchen utensils, pots and pans, and dishes and glassware. 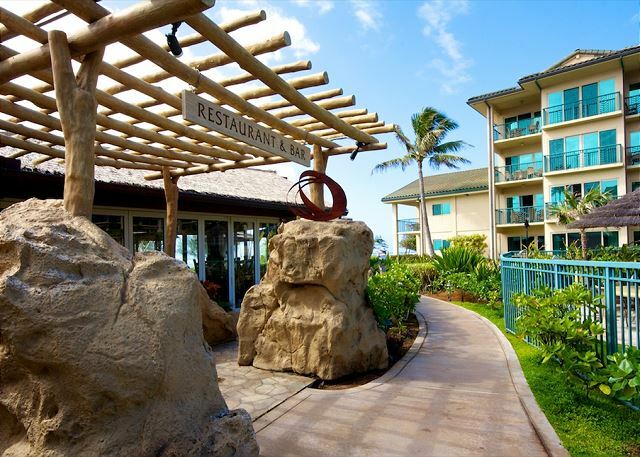 We would highly recommend Waipouli Resort for your stay on Kauai! room was great, as was the location. would definitely stay there again. We have stayed in other units in Waipouli but this one was in perfect condition. The cupboards were stocked with cooking spray, olive oil, salt and pepper grinders, zip lock bags and plenty of laundry and dishwasher soap. Great bed, great comfortable furniture and decent living room tv. the bedroom tv was on the small side, but still great. We will be back for sure. WE had an issue with one of the tvs and the managers answered the phones at 8 PM wow. Problem resolved! Relaxing stay and great spot for the kids. Close to shops and YOGA! We had a great stay in G303 for 9 days in May 2016. We are a couple in our 50’s and this was our third visit to Kauai. The resort and condo were just as shown in the photographs. The balcony view is of the parking lot (we knew this) but had beautiful mountains in the distance. We enjoyed several rainbows from the balcony. The pool was wonderful! The beach in front of the complex was lovely for sitting and strolling and was never crowded. Everything inside of the unit was very comfortable and it had everything that we needed. Some rental units have lots of extras (i.e. beach chairs, board games, cooler etc.) and this unit did not have extras, but everything necessary was there. It was very convenient to drive or walk to the grocery store right across the street. We missed a "mid-week cleaning" that was automatically booked with our stay, and when we notified the rental company they refunded the cost immediately. We love the east coast location which makes it easy to explore in both directions. I would stay here again. Beautiful condo, and pool area. Wish we had more time there. We stayed on the other side of the island at the Hyatt for a conference and this place was much less expensive and nicer. Really enjoyed our stay! We were very pleased with the unit we rented. It was very clean, had great water pressure, a comfortable bed and a great kitchen and bath area. Convenient location so we could walk to numerous restaurants and idn't have to worry about drinking and driving.Ono Family Restaurant was great for breakfast, and we enjoyed a fabulous dinner at the Hukylau Lanai in the Coconut Marketplace. The workout room is small but well maintained. Safeway grocery store is right across the highway, so you can buy food for meals in the condo if you don't feel like dining out. The management company responded quickly to our complaint that there were no sharp knives for cutting up pineapples by bringing over a new set. This unit does not have a good view, but we knew that going in. Waoulo Beach Resort was exactly as described, a great condo beach club. The unit was clean, well furnished and a great location. All amenities were wll done. We enjoyed our stay and recommend any family to stay here. The pool and rec area wa excellent. We were very pleased with everything. Ease of checking in, quality of condo, cleanliness lf unit, resort location, pools in the resort, fitness center. It was all great and we would definitely stay there again!! Will recommend to our friends and family! Easy. Lovely unit and property. Suggest more info in unit - how to get towels - where to deposit garbage, etc. The room was beautiful, clean, and easy to get to. The condo was fully loaded with everything you need to eat in and just relax. The facility, the pool, the grounds, and the beach were clean and well kept. The exterior of the building was in need of repair. The employees were friendly and helpful. we rented this room thru Patrick of Kauai Exclusives (VRBO). This is a 1 bedroom with king and 2 bath (jacuzzi and shower). The room faces the Sleeping Giant Mountain and parking. check in is 3pm and check out is 10am. you dont have to go to the hotel lobby to check in because they will give you the access code for the room, pool and wifi. The room was clean, big kitchen, sofa bed, washer and dryer, 2 TV with cable. They have some ready to use kitchen ware and some spices and some supplies for you to use for dish and washing clothes. Patrick provided us a free concierge (Sonja and Thomas) both were excellent and very helpful. We purchased our Sunshine Helicopter and Poipou Catamaran Sunset with Thomas. they were easy to reach out thru texting, calling and email. they response right away. The pool was fun. there was a sand pool for the kids, 2 slides with big pool. My kids enjoyed the slides and the kiddie pool. You will need to get a wristband and only allowed 6 towel per day. Beach access to walk around but not to swim because of the waves. also a beachfront restaurant and spa. Overall, we will go to this location again when we go back to Kauai since its near the airport and shopping/food area can be traffic but very convenient to us. Also Kapaa is a nice area to stay since its not a long drive going to north side and south side. Thank you Patrick, Sonja and Thomas. We stayed in unit G303 for a week, and both agreed that it was the best vacation rental we had stayed in...bar none. Vet well maintained, fully equipped, spotlessly clean, air conditioning (yes!). The resort is wonderful - great location, incredible pool, beach access just a few steps away - everything we needed to relax and unwind. Also, the property management team was GREAT - professional, helpful, and very responsive. Finally, the only reason I rated the location a 4 below is that the deck faces the mountains / parking area, so we did not use the Lanai at all. However we would definitely rent again! 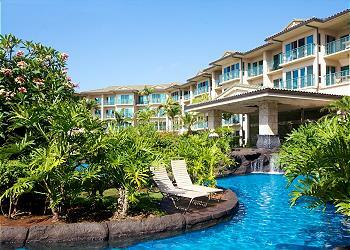 Excellent place to stay while in Kauai. Our condo was perfect and our concierge for the stay was super helpful, Sonja is very knowledgeable about things to do on the island. Rental was very nice and quiet and suited our needs. Unit faces NW so doesn't get much light but has a view of the sleeping giant. Everything about this unit is high quality, exceptionally clean, and totally complete from the furnishings to the linens and tableware. I rolled my suitcase and computer in and started living Hawaiian style immediately upon arrival. Mornings I awoke to the breezes and flowing palm trees with the majesty of the great "Sleeping Giant" and Kauai sky in the background. I appreciated the short walk to my car with the option of taking the nearby stairs or taking the elevator when I had groceries which were so easily obtainable at the Safeway and the health food stores across the street. Everything is so close and convenient - restaurants (including onsite), the wonderfully amazing ocean front bike path that goes for more miles than I could ride, and, of course, the beach. The swimming pool is like none other that I've ever seen and the exercise room is fully equipped with state of the art cardio and weight machines. I've been coming to Waipouli for four years working with Kauai Exclusive and I've never been disappointed. Anything I need is a phone call away which is so important because I am a single woman traveling alone. 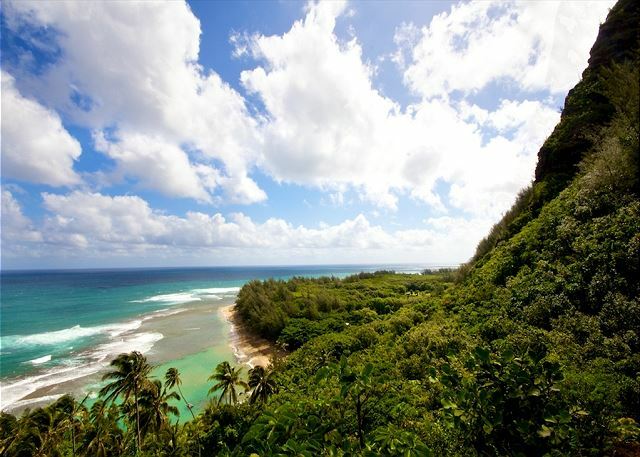 I recommend you come and stay to see for yourself that this is the most high end luxury resort living you can find on Kauai. We were most impressed with the accomodation. Everything was in excellent condition and appeared to be almost new,and very clean. We had a problem with the shower tap not providing hot water, but wereable to correct the situation ourselves. Otherwise it was clear sailing.We managed to do the heli trip, catamaran Napali cruise, and drove Waimea canyon as well as covered all the main towns. We mostly ate in the rental, but did go to Kalapaki Joe's quite often for happy hour, and would highly recommend it.